On the set of Youth. If you let your mind meander about Italian cinema today the name Paolo Sorrentino should whisper through your lips as if it was there all along. 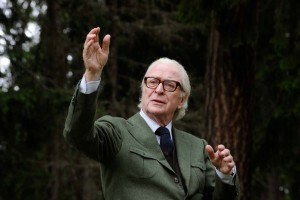 The filmmaker has already won a best foreign film Oscar for The Great Beauty and has now followed it up with another exquisite achievement, Youth. 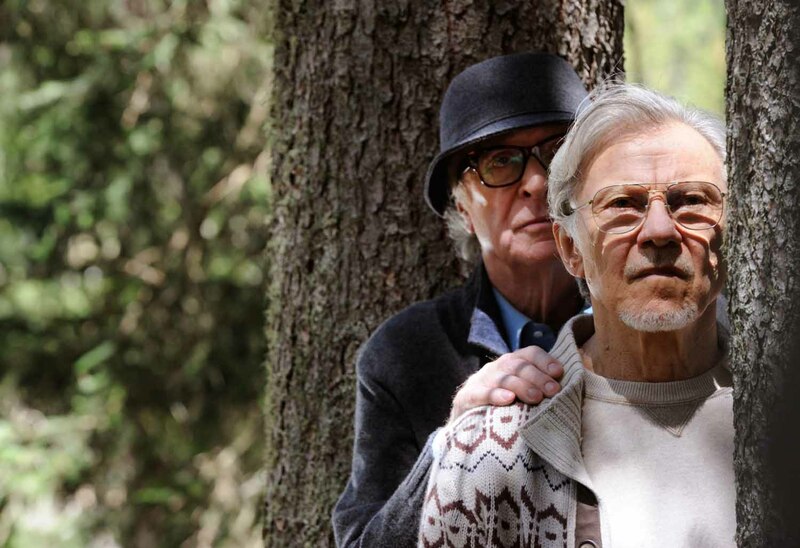 Debuting at Cannes, it’s the director’s second English-language picture that shines light on Fred Ballinger (Michael Caine), a renowned but now retired composer and his Hollywood direct friend, Mick Boyle (Harvey Keitel) as they question their futures after two very successful careers. Shooting in 2.35:1 5K Redcode Raw, the cinematographer lit scenes using a broader paintbrush since they were often using up to two or three cameras while framing 30 to 40 scenes per day. A variety of lenses were used with the bulk of glass work going to Zeiss Ultra Prime lenses. “It was a very exhausting but fulfilling movie. The greatest difficulty from my point of view was the opening party scene in the garden. There were 300 extras, it was at night, on top of a roof, and there was no space for fixtures. We ended up lighting with practicals so the cameras were free to move 360 degrees. Any traditional lights would have prevented that freedom. Doing it this way solved all the problems we were facing,” Bigazzi explained. Throughout the film scenes were lit for ambiance which allowed the actors and director freedom to move. Helping Bigazzi achieve this shooting style was Red’s HDRx. What it allows operators to do is set the primary aperture and shutter speed, what Red calls “A frame” and then set a secondary interval “X frame” with a different shutter speed up to 2-6 times faster. Both frames are then recorded on separate tracks which can be mixed together later in postproduction. “We had such beautiful landscapes and skies and locations you want to show them off with as much natural light as possible. 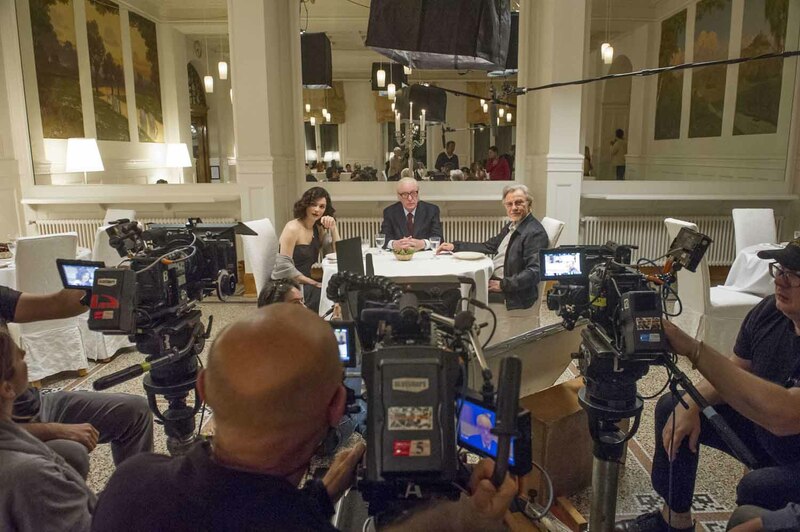 I didn’t have the time or the space to use many fixtures for our setups, the HDR gave us enough flexibly in terms of our exposure.” For Youth, Margutta Digital in Rome was used for postproduction. The music, composed by David Lang, was another important component to the film. Near the end of the story Ballinger conducts one of his most famous pieces, “Simple Song #3” – a song he even refused to play for Queen Elizabeth. It’s here were we see another example how HDR played into the cinematographer’s lighting choice. “Paolo didn’t want the camera to call attention to itself – the film was about the characters and what they were doing.” In this scene the set was designed by Ludovica Ferrario with a large white background that was placed behind the orchestra which can be difficult to not over expose. What Bigazzi ended up using were soft lights in the back of the white background so the scene was mostly back lit. Then thanks to the HDRx, he was able to expose the faces at the same time using the same light so nothing was over exposed. This provided a perfect balance between background and foreground. 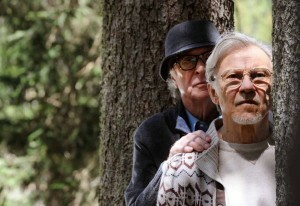 Youth is currently in theaters and also stars Rachel Weisz, Paul Dano and Jane Fonda as Brenda Morel.